Here is a really easy way to make any table ready for any celebration. A printed text paper runner! 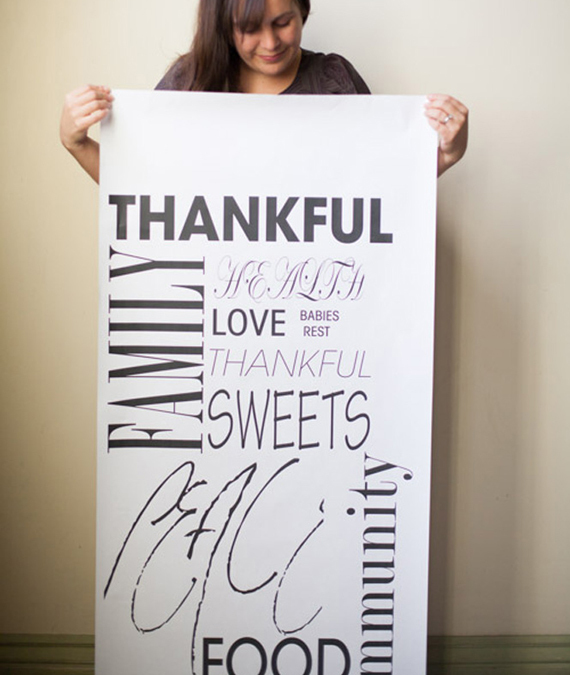 Perfect for Thanksgiving when filled with phrases of thanks. To make the runner, go to your local copy store with one of the following: a printed version of what you’d like the runner to say, a copy of your favorite quote, phrase, or saying from a book. You could even use a photo. Ask for a blueprint copy – Kinkos calls it a full-size copy. 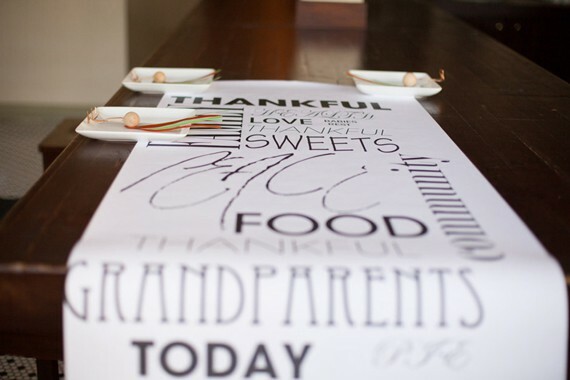 It is a very affordable way to make a black and white copy, the copy will come up to 36 inches wide and can be made to stretch as long as you prefer. This five foot runner cost about $3 to make. After designing this one for Thanksgiving, my mind has been buzzing of all the great ways to use this idea for the birthdays, anniversaries, and weddings we have coming up.